What’s the population of a city? Definitions can be important when looking at things such as statistics. A simple comparison of city populations can result in quite different figures. For example, what is the population of Seattle? Seattle is a seaport city on the west coast of the United States. It is the seat of King County, Washington. With an estimated 713,700 residents as of 2017, Seattle is the largest city in both the state of Washington and the Pacific Northwest region of North America. Okay, so 713 thousand people. About half the size of Adelaide. Well no, at least not in the terms Australians generally use. The info box on the right hand side of the article says there are 3 million people in the Urban area, 3.7 million in the Metro (metropolitan) area, or 4.5 million in the Combined Statistical Area. In other words, depending on how you measure it, Seattle is double the size of Adelaide, and possibly on a par with Melbourne, which Wikipedia says has a population of 4.7 million, citing ABS figures that use the Greater Capital City Statistical Area. We have to be careful what we’re talking about: just an arbitrary area, such as everything within a government boundary, or the entire metropolis, or something even bigger? The City of London is a small subset of the Central Business District, a government area with a population just 9401 people. Greater London the government area controlling London and its suburbs, with a population of 8.8 million. The Urban area of London has a population of 9.8 million. The London “Metro” area, defined as all of the above plus the surrounding commuter zone which includes parts of numerous nearby counties, has 14 million. If we applied a similar methodology for Melbourne, I suppose that would include out to Geelong, Melton, and so on. So if we’re trying to compare, perhaps the best figure to use against Melbourne’s 4.7 million is London’s urban area of 9.8 million, or Seattle’s 3 million. At least, that’s what I think I’ll use unless convinced otherwise. In Australian English, even use of the word “City” can be confusing. When a Melbourne local says “I’m going to the City”, they are generally referring to Melbourne’s Central Business District. In some contexts, it might mean the City of Melbourne council area, which includes the CBD, parts of North Melbourne and Royal Park, Carlton, Southbank, Docklands. 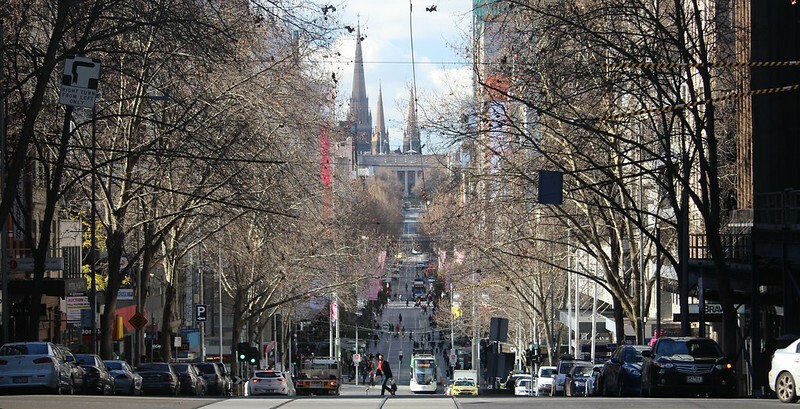 And if you’re wondering, the resident population of the City of Melbourne is about 136,000, but with total daytime population (mostly made up of visitors) of about 900,000 people. Oh, and if you think population is complicated, you should see density. I’ll leave it there. I’ve got to catch a train to Melbourne. I mean, to the City. For urban populations and overall densities I’ve generally relied on the ABS ‘Urban Centre’ geography, which is probably the nearest equivalent to an ‘urban’ or ‘metro’ area elsewhere, and at least in principle is supposed to draw a tight boundary around the built-up area (though nearby settlements can get included if they’re close enough). GCCSA I’ve found less useful as it’s essentially an arbitrary cordon drawn around an area surrounding the city, most of which will be rural land. But if one’s just interested in population, the difference between Urban Centre and GCCSA is generally small enough not to matter. Referring back to Seattle, the difference between the 713,700 ‘city’ population and the 3.7 million ‘metro’ population is important, the difference between 3.7 and 4.5 million ‘statistical’ population less so. When I was a lad we used to dress up in our best and “go into town”, never “the city”. The term ‘parts of North Melbourne’ being part of the City of Melbourne is now redundant. All of North Melbourne, and Kensington are now part of the City of Melbourne. The ridiculous decision by the Kennett government to dump part of North Melbourne into Moonee Valley has since been reversed. The City of Melbourne even includes Flemington Racecourse and the Royal Melbourne Showgrounds. Yes, it so much depends on where the lines are drawn on a map. And of course that affects density too. City of Greater Bendigo: 111,783. Which regional city has more population (a question of local pride)? It depends how you measure it, but on three out of four measures it appears to be Ballarat. What’s interesting is the ABS’ SUA for Bendigo is the same as its SA3, but for Ballarat it is different. Melbourne, Sydney, Adelaide and Perth local government areas are never really defined as whole cities (except by their official local government names) because they are really the equivalent of boroughs/arrondissement in other cities and this is widely understood. In other many other cities and metropolises around the world city governments are a much larger proportion of the city populations and have more power including in in more areas of responsibility (education, policing, citywide transport, etc) that are held by states in Australia. In many ways, Melbourne, Sydney Adelaide and Perth have their state governments as their city/metropolitan government. While I knew apples were being compared to oranges at times, it is good to have it clarified. I wonder if Greater Melbourne includes areas like Frankston, Cranbourne and Pakenham, all of which have suburban train services. I’ve been accused of being common by saying, I am going into town and not going into the city, but that is what I know it as and I don’t care. Invariably I will be in sight of the Town Hall, and not City Hall. The city boundaries were once so clear, but are now blurred for various organisations to take advantage of, or disadvantage some others. The Central Business District has been extended to the Central Activities District, which I think includes Docklands and Southbank. It is somewhat of a disgrace that the free tram zone includes Docklands but not the much closer Melbourne University. But then the whole free tram zone is a stupid idea. As far as I know, Sydney is the only capital city where the state government’s definition of the greater metropolitan area differs from the ABS (GCCSA) definition. The ABS includes Gosford whereas the NSW Planning Dept does not. Hence when someone asks: When will Melbourne’s population overtake Sydney, it depends on which “Sydney” one is referring to. My mother always went “into town”, even though the destination shown on the tram that took her there was “City”. Must admit, I too go into town, not the city. I was just googling up the population of Bangkok vs Kuala Lumpur the other time, and I was puzzled when I came up with some 8 million vs 1.7 million despite me getting a feel that Bangkok was only bigger than Kuala Lumpur. When I looked up “greater kuala lumpur”, I then got 7 million, which feels more correct. The greater urban area have multiple cores which have merged to feel like one large city as the population spilled across state borders, in contrast with the statistically correct (but not reflective of social norm) figure of not quite 2 million. The greater figure of 7 million includes the surround Petaling Jaya and Port Klang (plus a few other surrounding cities and suburbs). I guess it would be like how Queanbeyan extends Canberra by a certain extend though this is probably a poor comparison. It also makes me wonder how the population of the eastern cities of Australia would be for statistical purposes IF they ever got around to building high speed rail linking the eastern cities.